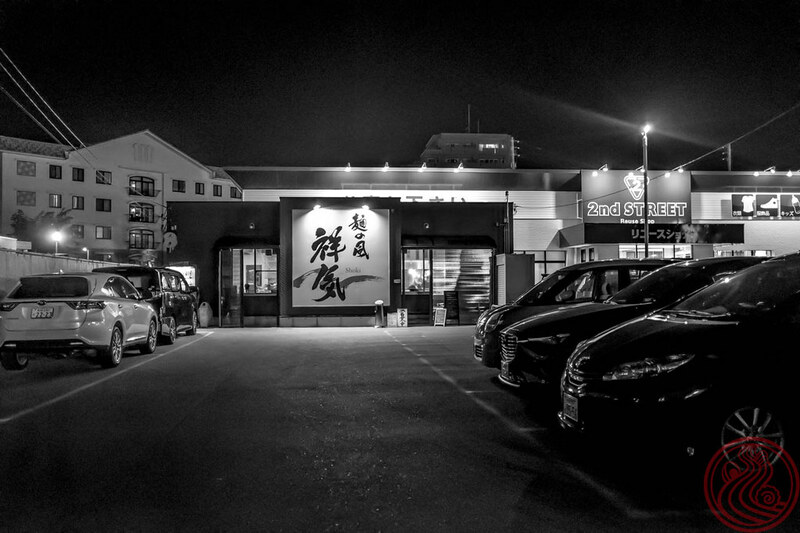 Anzen Shokudo was on my super-wanna-go list for a while, but the location isn't so convenient. 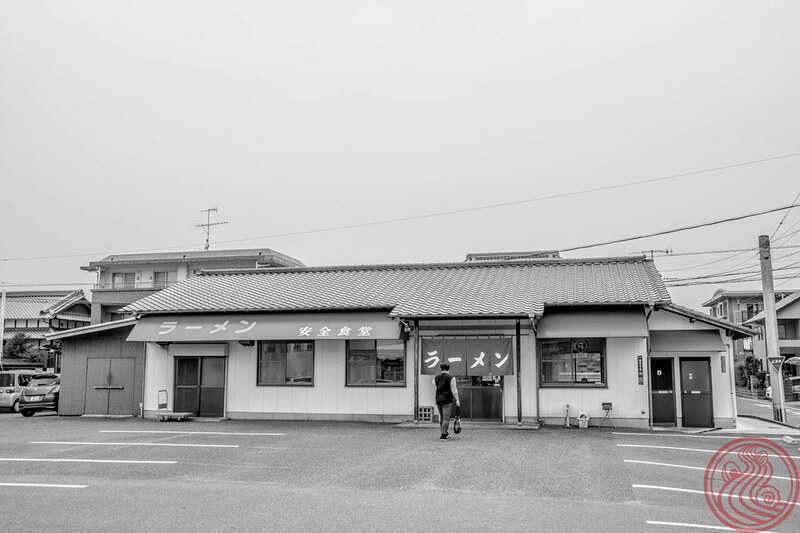 It's about an hour by train from central Fukuoka, and they close at the latest at 4:00pm (keep in mind that many ramen shops in Japan run out of soup and close before the posted time). 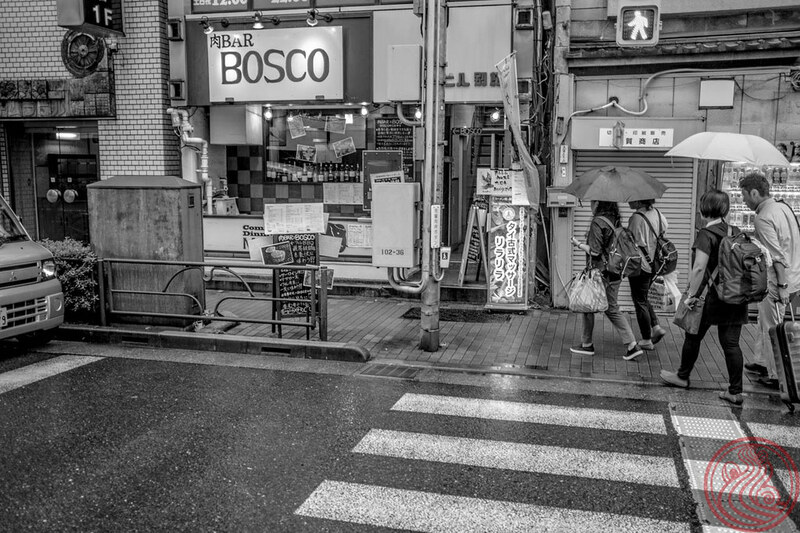 This time around, we had a car, and a bunch of hungry ramen dudes ready to check the area out. It took me about five seconds to convince them all to come to Anzen Shokudo. 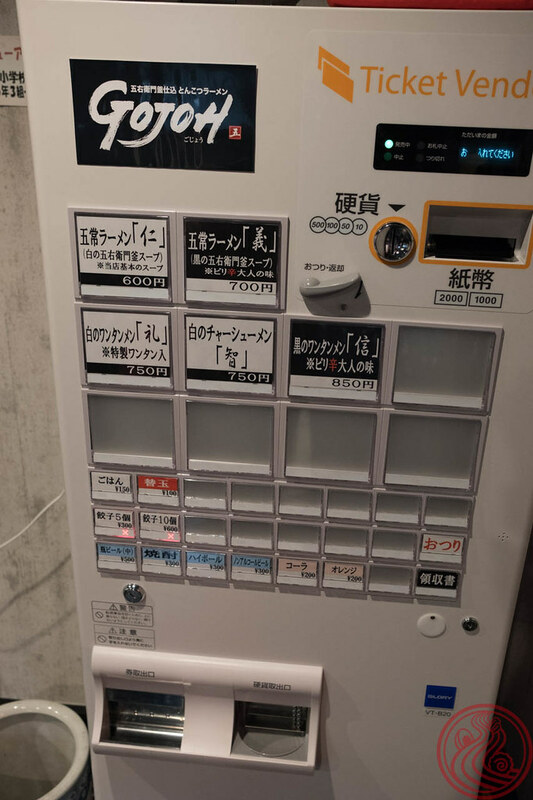 The choice, after all, is very anzen. Cue the boos at my jokes. 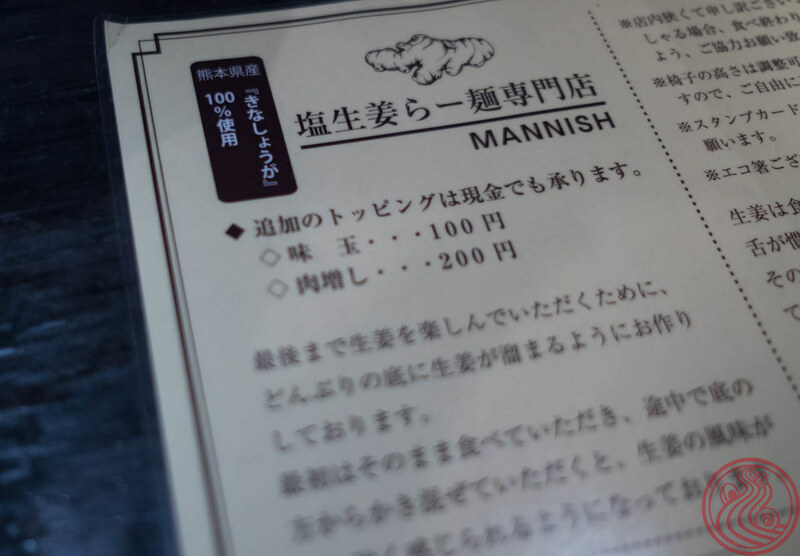 Anzen means safety, but the menu here is intense. Local ramen that holds no punches. 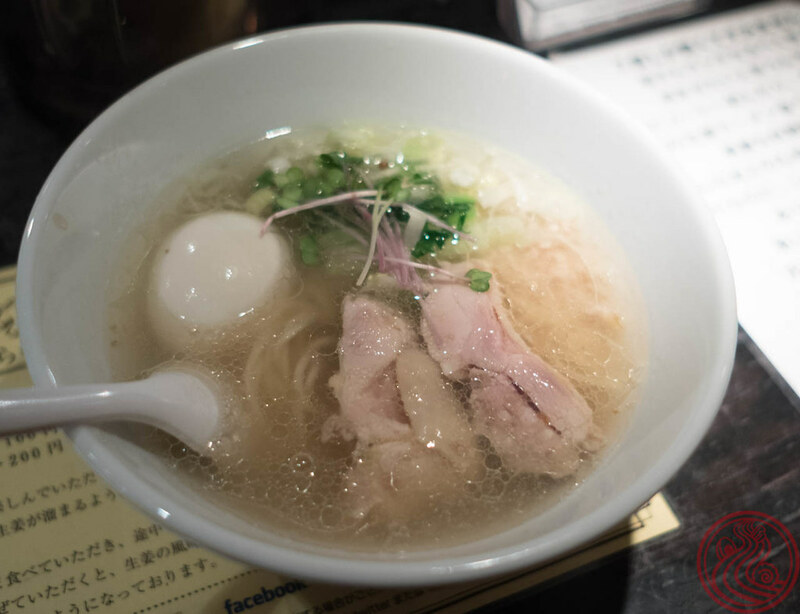 The standard ramen is a local-style tonkotsu. 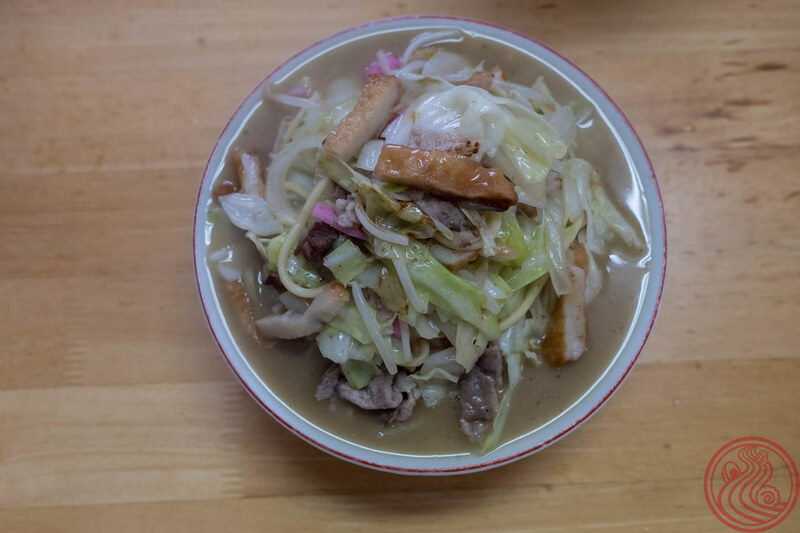 Look at the size of that bowl of benishoga, the pickled ginger used as a topping. One thing I love about these bowls is how easy they are to eat. 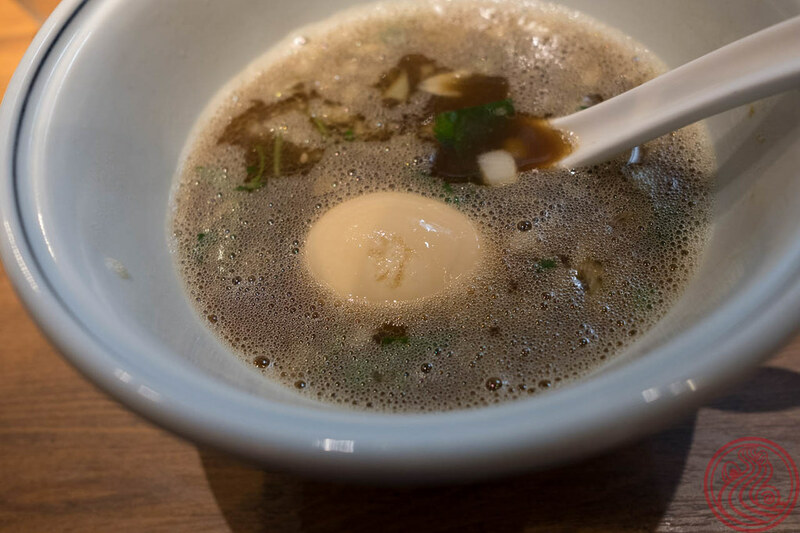 They purposely serve this style with less noodles than, say, a bowl of shoyu ramen, which either means you can order another serving of noodles, or order another bowl of something else. 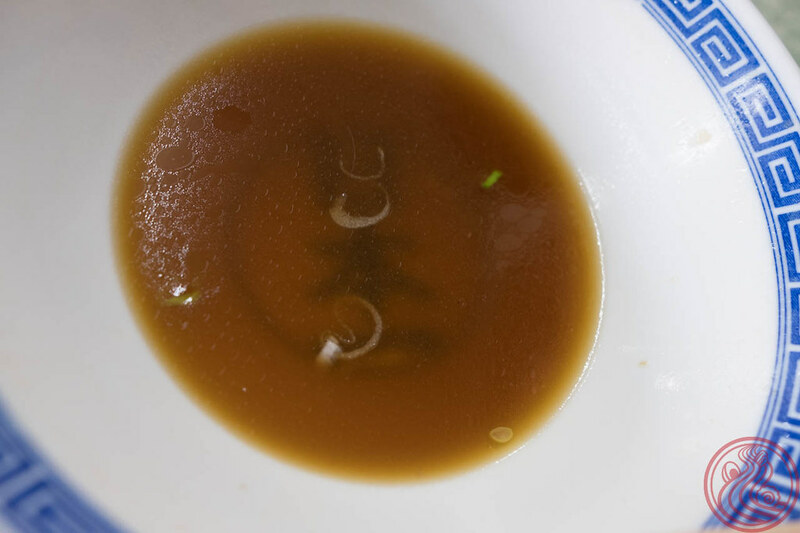 Champon. 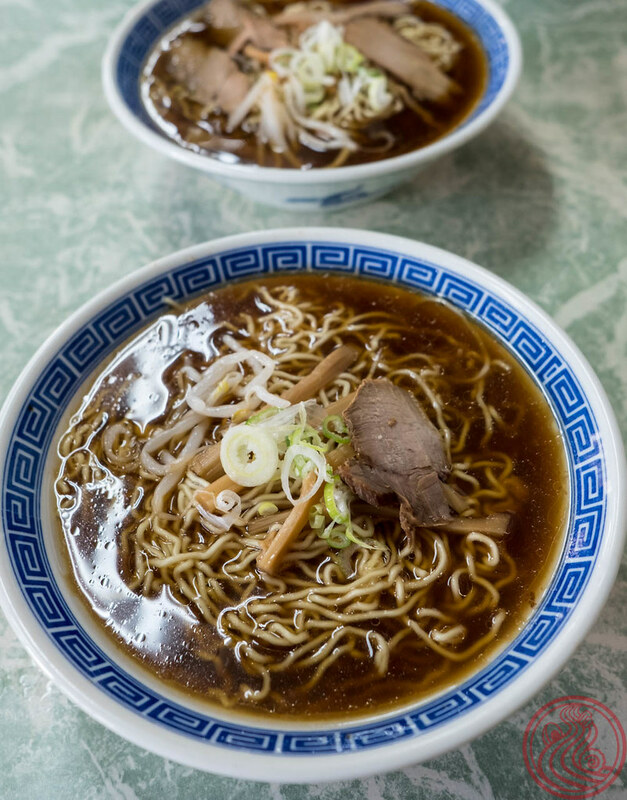 Anzen Shokudo lies on the way to Nagasaki, and heavy champon is the Nagasaki way. 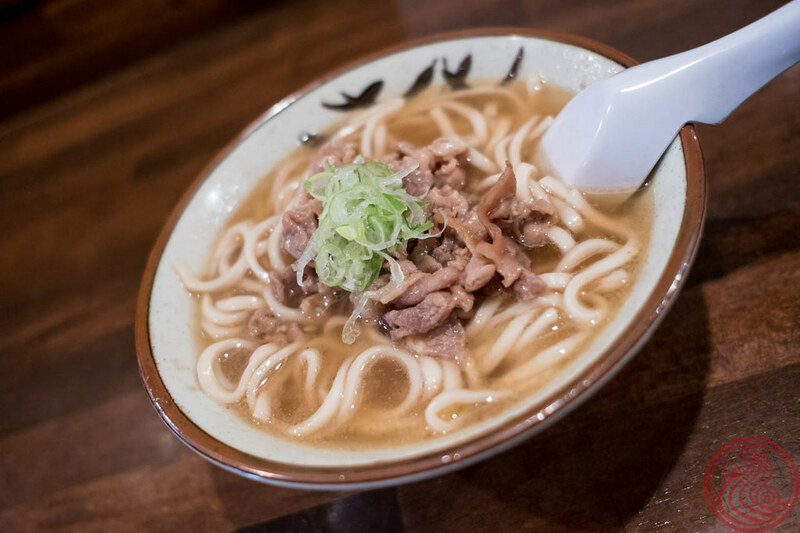 Thicker noodles, cooked in the broth, topped with meat, veggies, and fishcake. 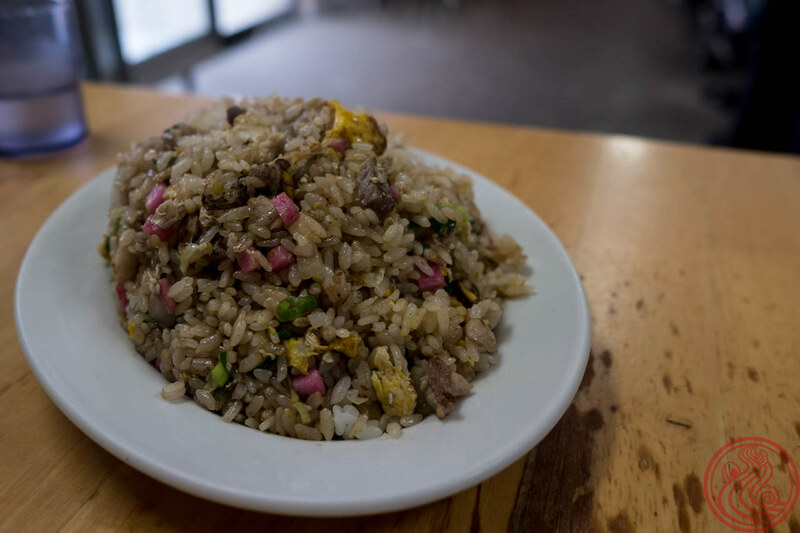 Also on the menu, fried rice. Legit. This is totally a road-trip worthy spot. Come with a group and eat your way through the menu. 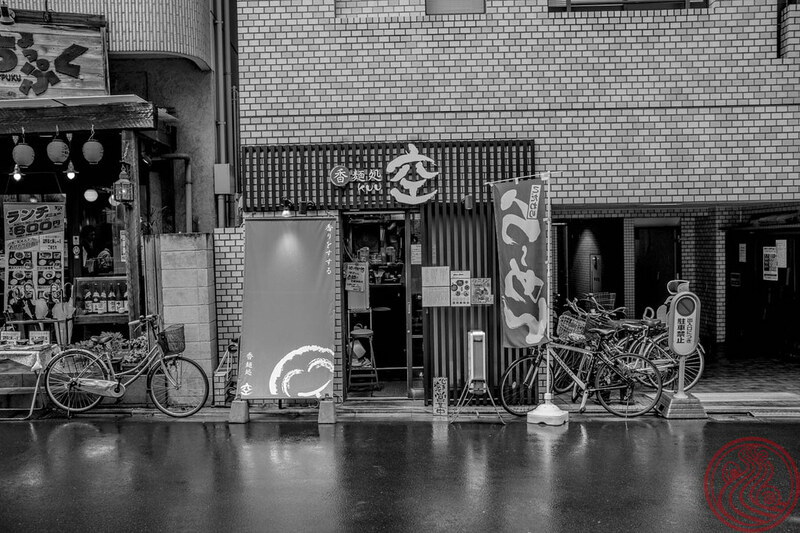 If I had to rank Fukuoka ramen shops, this one would be up there. 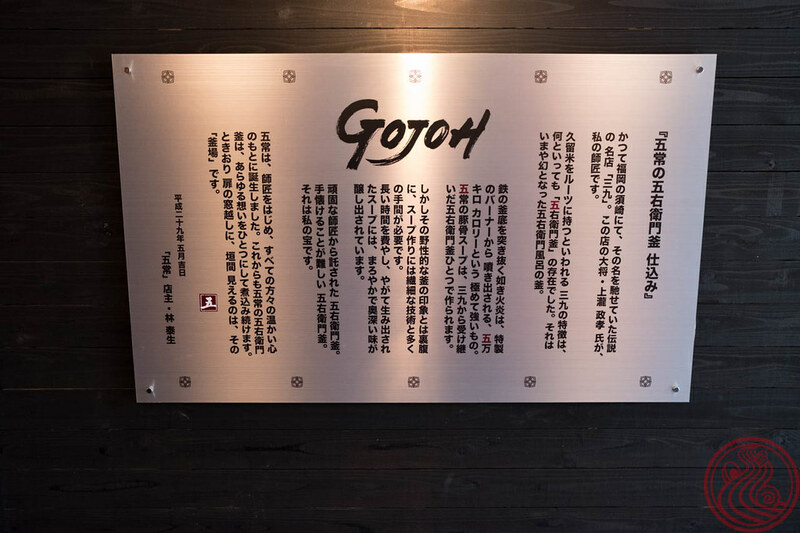 The full name of this shop is goemongamajicomitonkotsuramengojo. This refers to a 五常, the five virtues of Confucius. Benevolence, morality, gratitude, wisdom, and honesty. Pretty serious stuff here. What's even more serious is the soup. 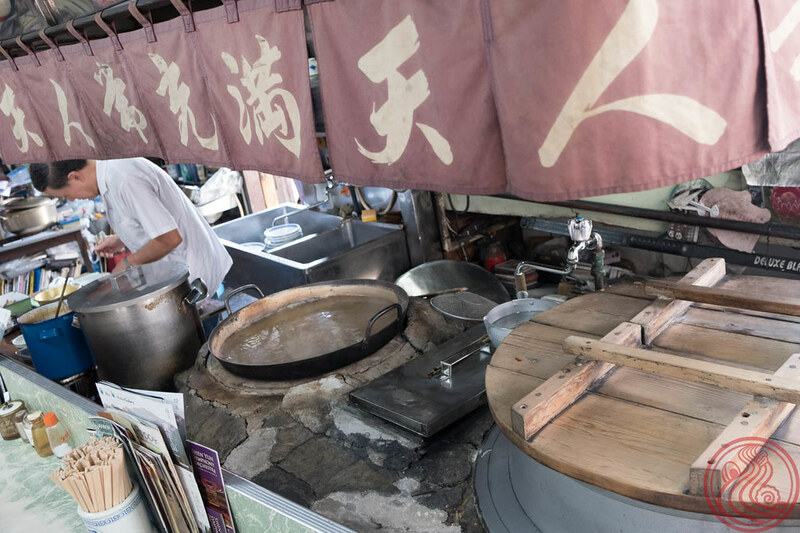 It's cooked in a 五常の釜, a kind of iron pot named after these virtues that gets very, very hot. 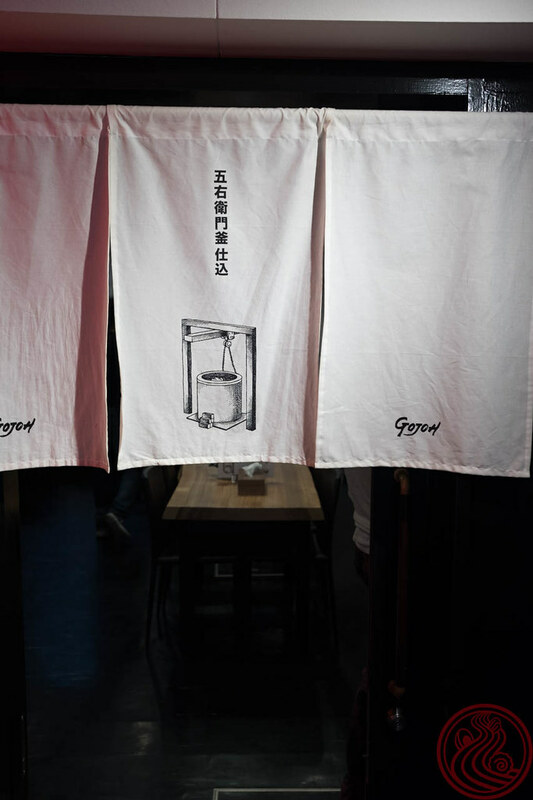 The iron stores heat, making for a consistent boil during the long process of making tonkotsu soup. White or black? Benevolence or morality? Normal or spicy? These are all the same question here. 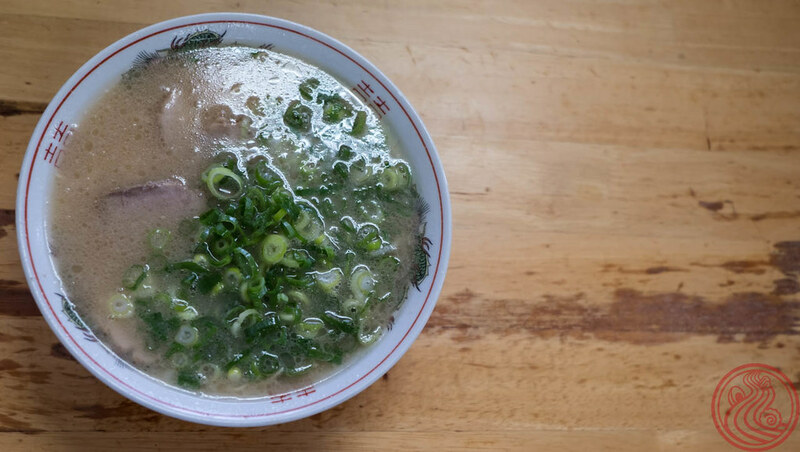 This unique cooking technique yields a bowl that doesn't stink like many tonkotsu ramen bowls do. Instead, it's smooth and drinkable. 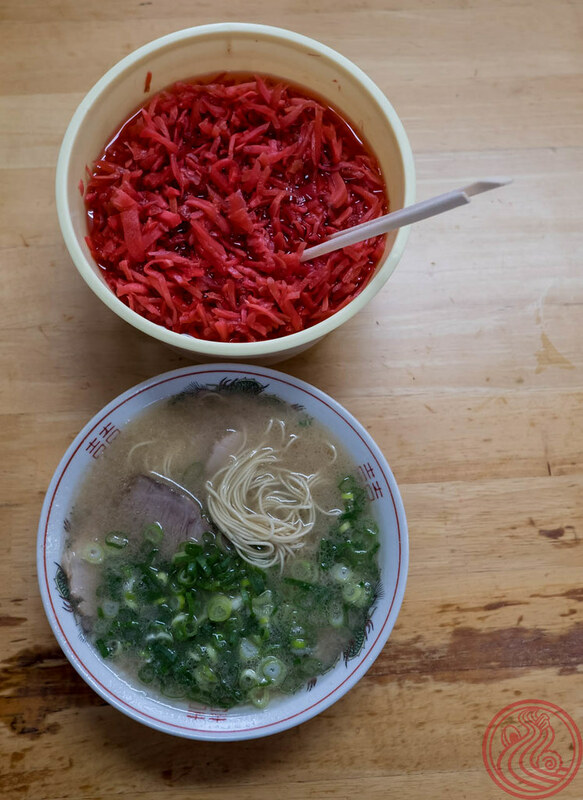 The unique topping, pickled daikon radish, is meant to help a bit with digestion, and add some welcome color. 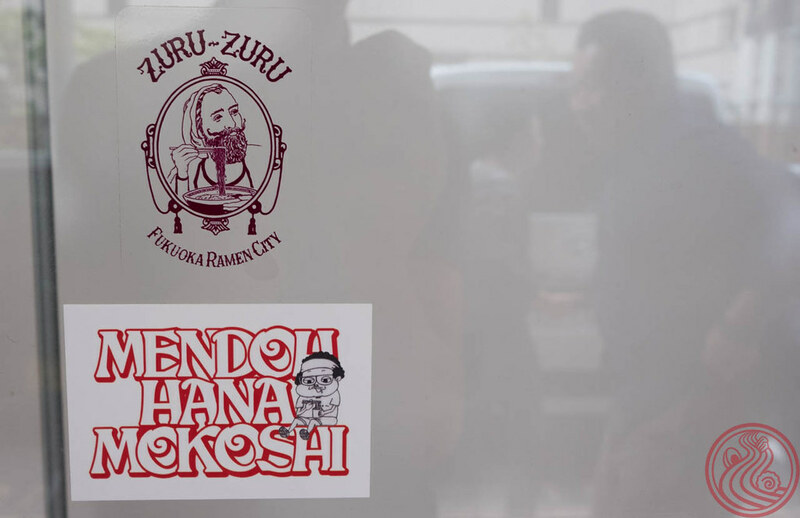 I mentioned in my last post that I was in Fukuoka on a foodies trip. 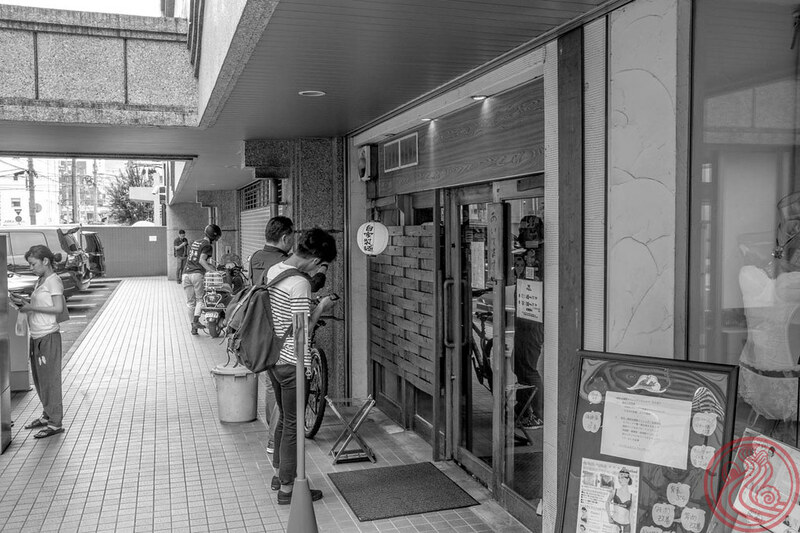 I wasn't alone, and some of the others were ramen shop owners from local shops as well as shops that reside far away. 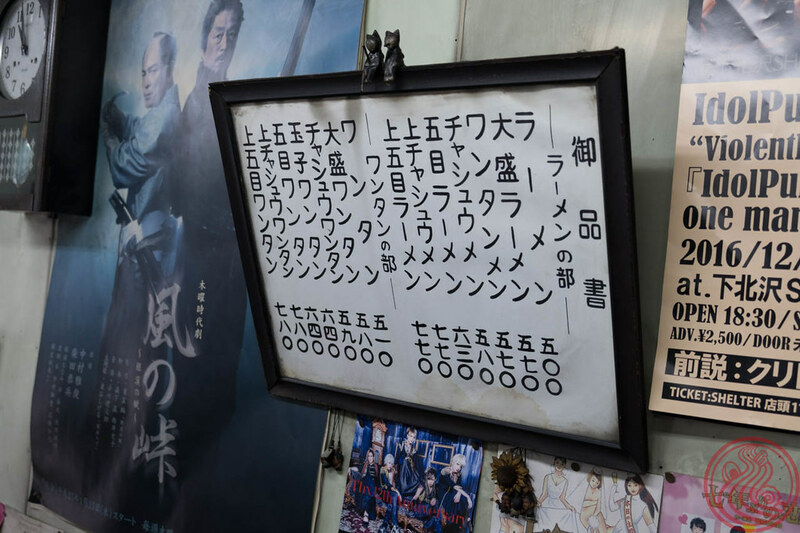 One local master's disciple had recently opened a shop of his own. Time to check it out. 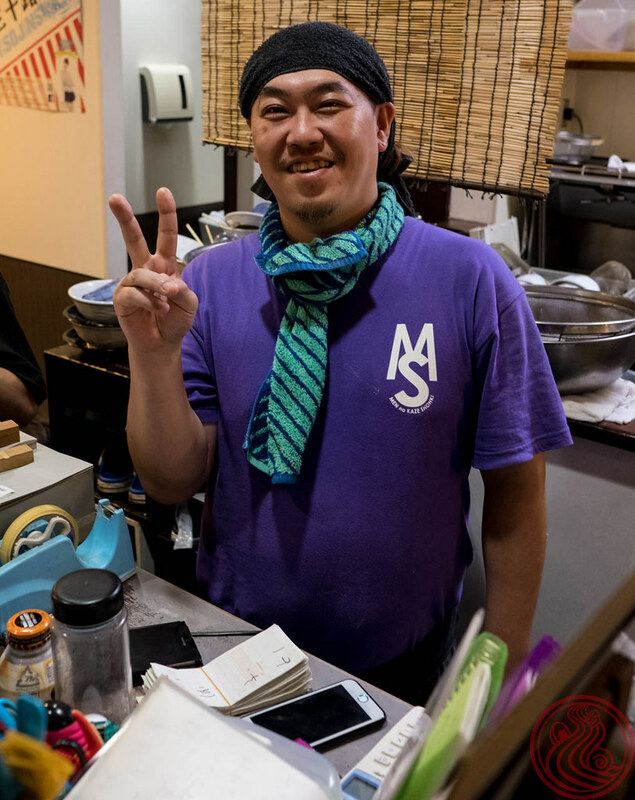 No pressure when your former boss comes to try your ramen. 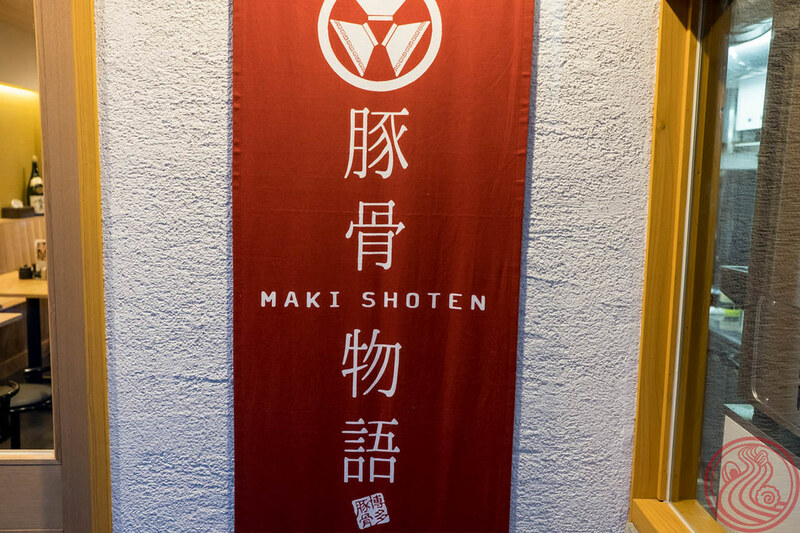 Maki Shoten has an entire dinner menu, with pork stir-fry and omelets among other things. 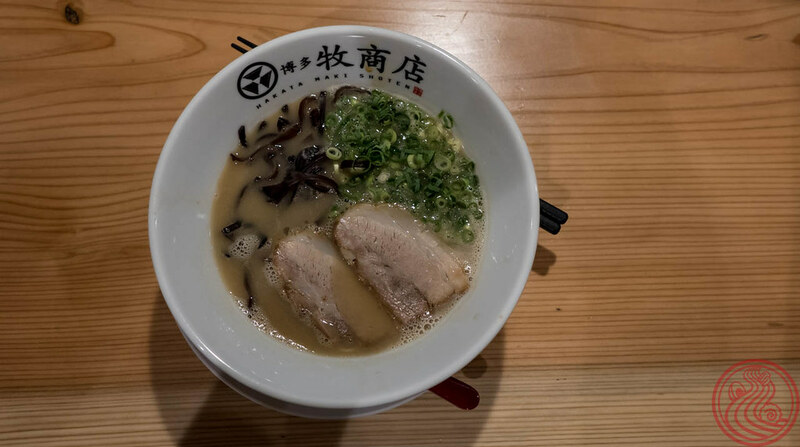 This was stop #4 of the day (we had already had ramen, squid sashimi, and motsu nabe), so just a bowl of ramen would have to do. 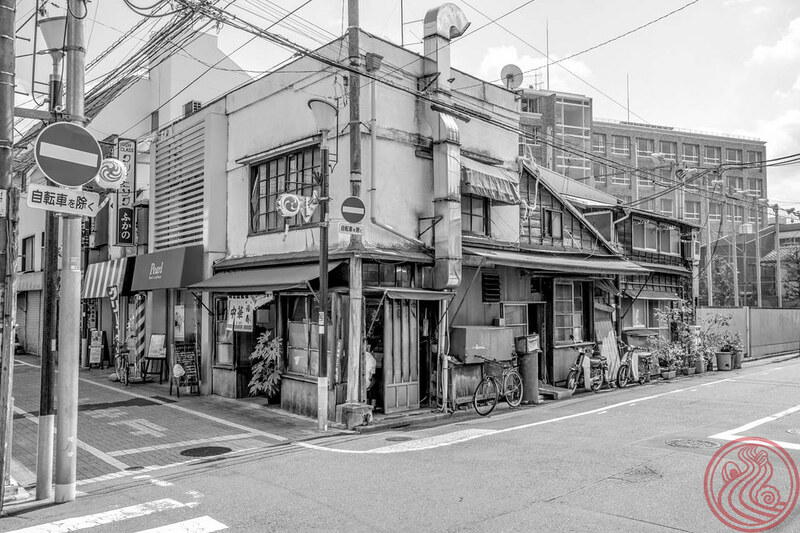 Classic Fukuoka-style. Choose from white, black, or red. Black adds some burnt garlic oil, while red (I'm assuming) is spicy. 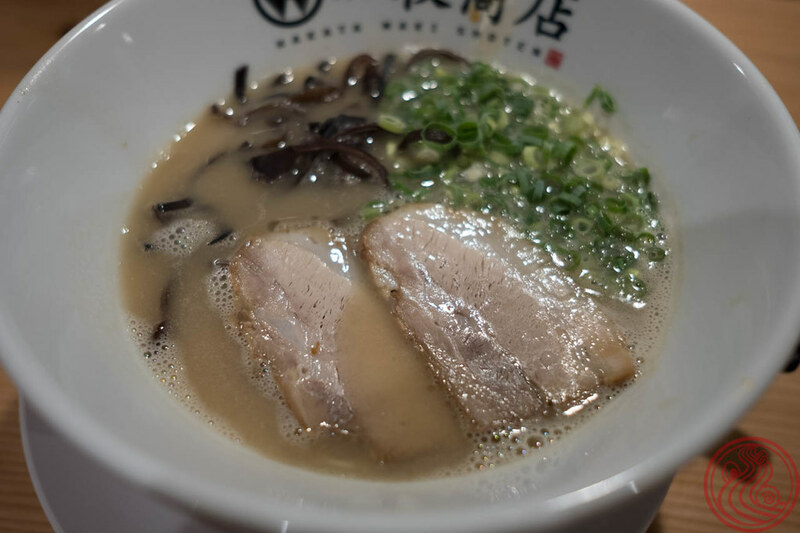 Tender chashu and solid toppings. 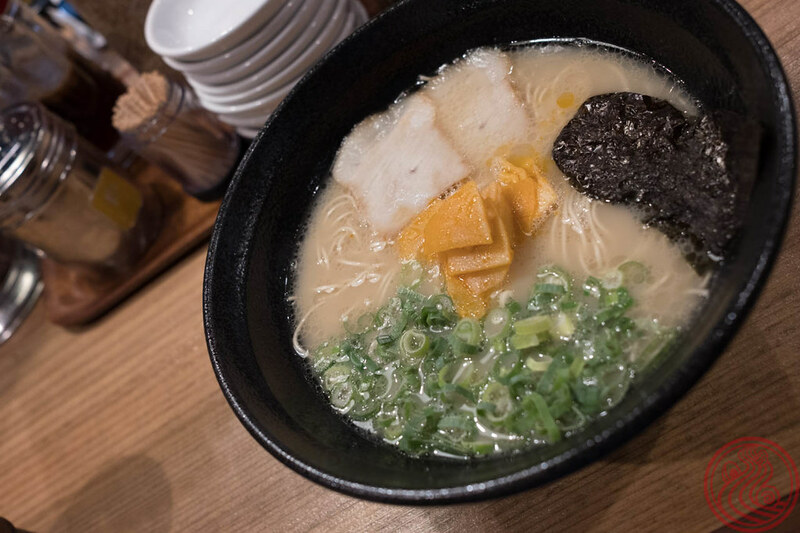 This bowl checks all the boxes that make up a decent Hakata ramen. Road trip! I got the call a week before the trip. 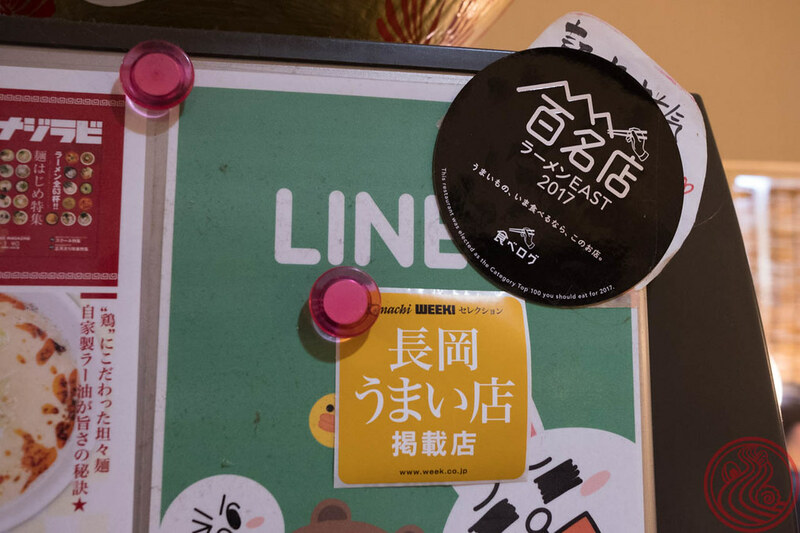 Spend between two and five days in Kyushu, eating anything and everything. 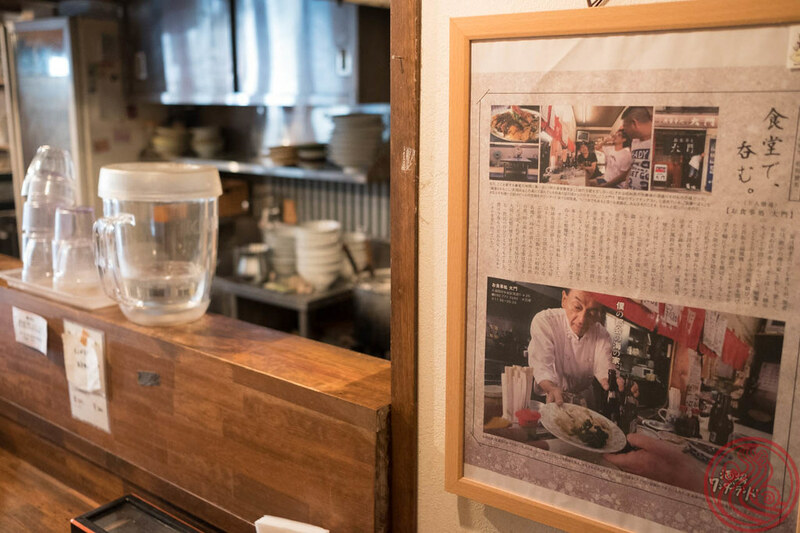 High-end sushi reservations were already made, and it was our goal to fill in the time between with b-kyu, casual gourmet dishes. 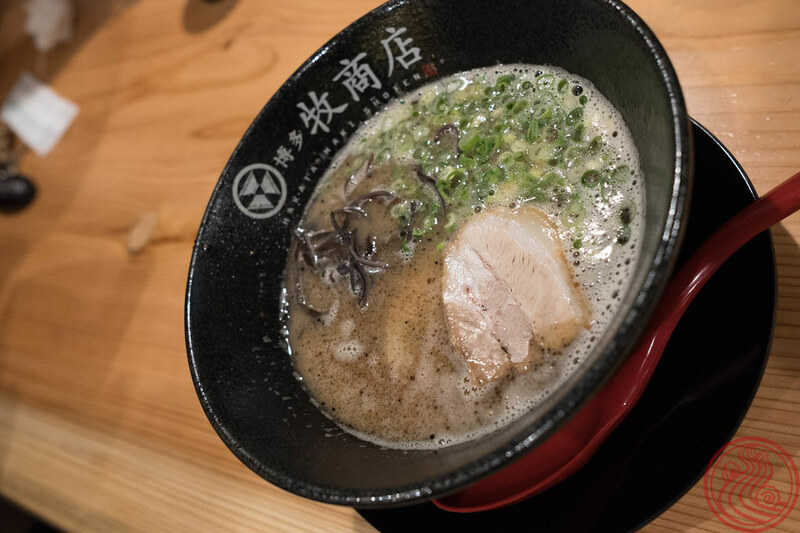 Ramen was definitely on the menu. 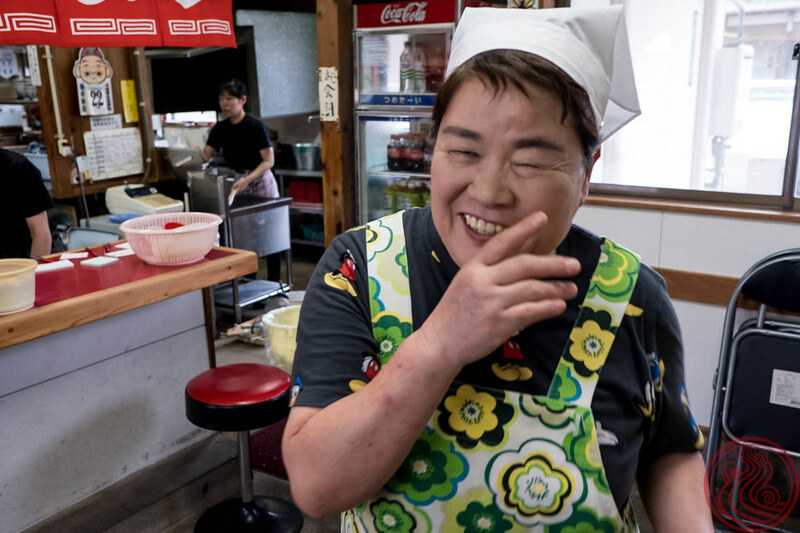 Hanamokoshi can be a tough one to get in to. They open from 11:45 until 1:30, but will probably run out of soup, so try and get there when they open or shortly after. They open again at dinner, for only one hour from seven to eight. 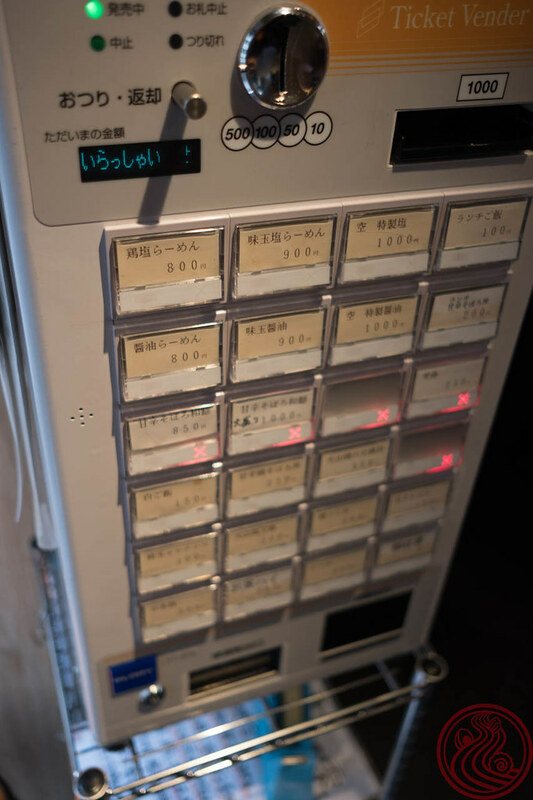 Yes, this system makes it tough, but as one of Fukuoka's great non-tonkotsu shops, they are in high regards. This is a breathtaking bowl. 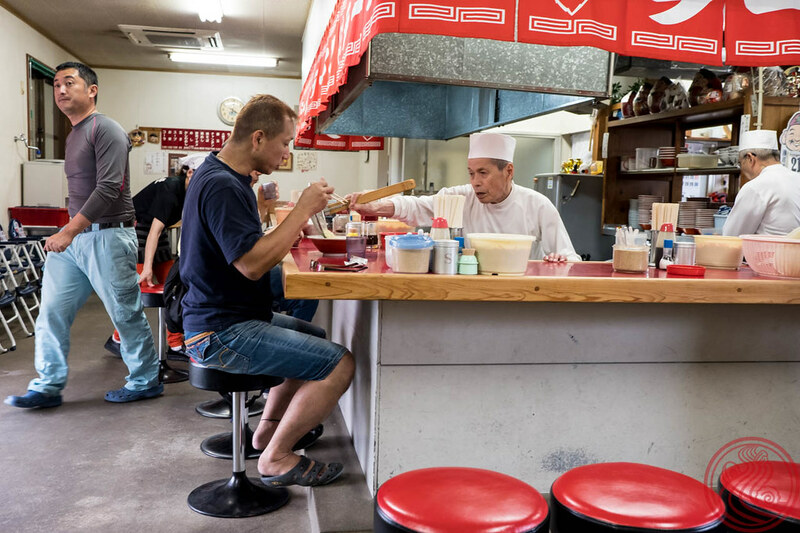 The master studied not only ramen noodle making, but pasta and udon. 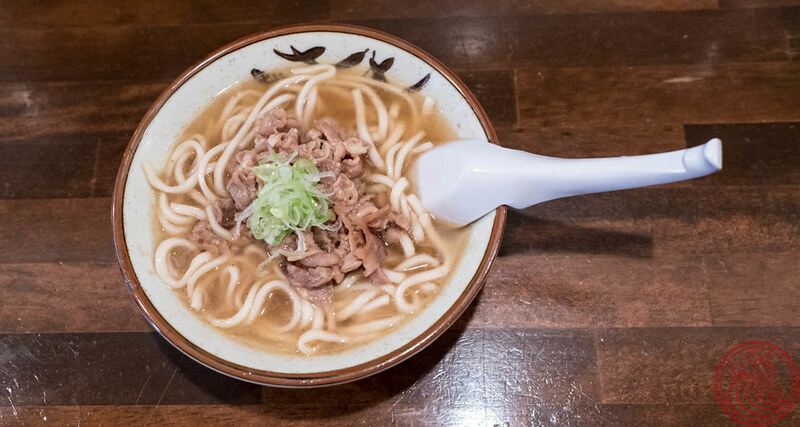 He wanted this one to resemble a dish called niku udon, udon topped with meat. 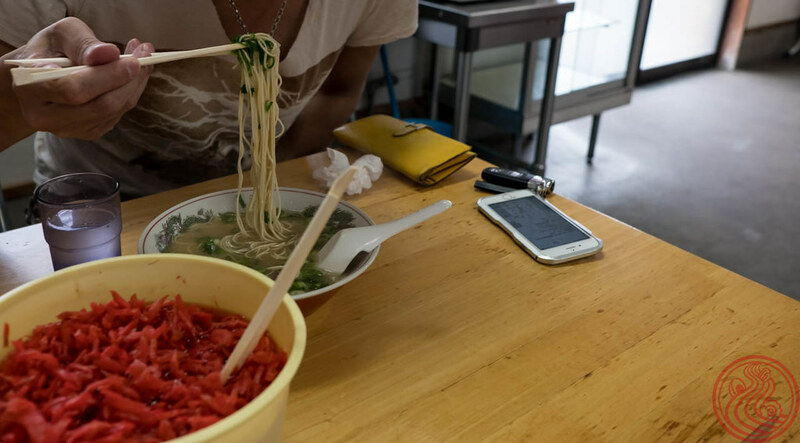 The handmade noodles use local flour, and have a bit like nothing else in town. 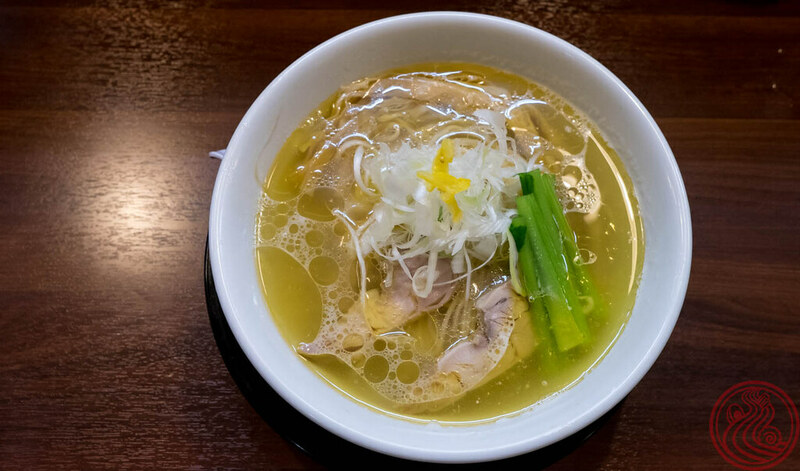 The soup is a simple dashi made from dried seabream and sardines from the nearby Seto Inland Sea. 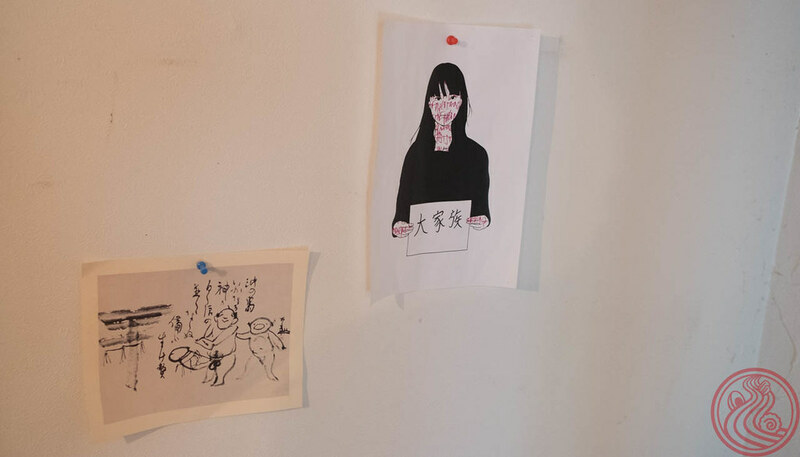 Little bits of art adorn the walls in this homey spot. 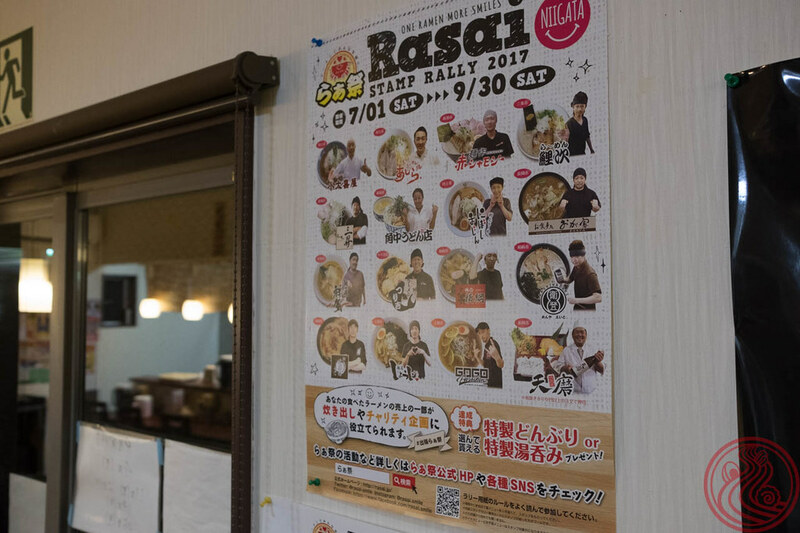 A must-hit in Fukuoka if you grow tired of the plethora of 100% pork ramen you find on every corner. Ku is interesting to say the least. 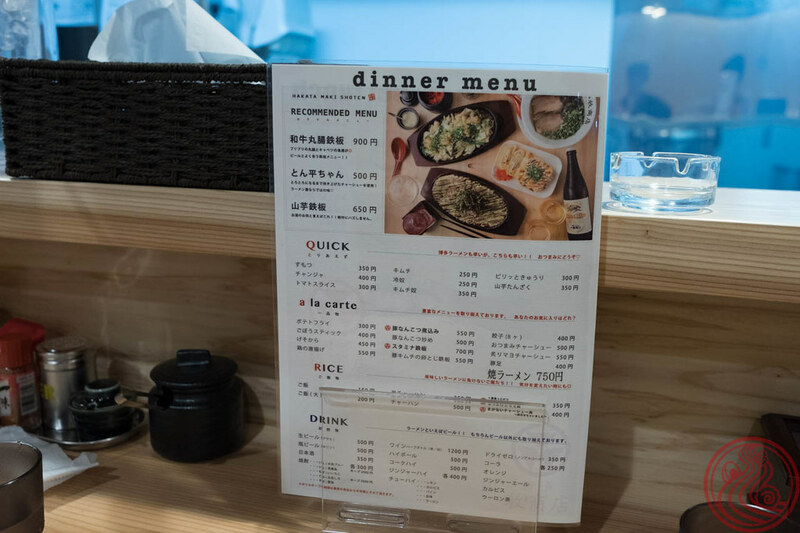 For the menu, it's simple. 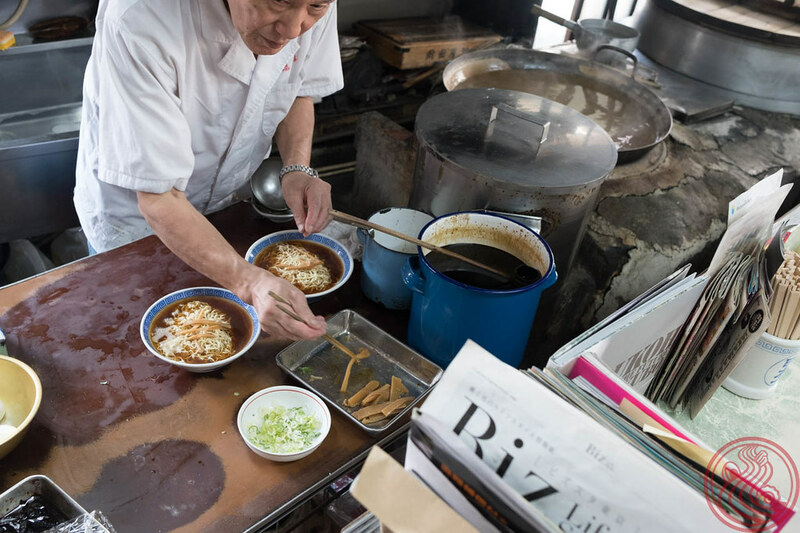 A row of shio ramen and a row of shoyu ramen. Other rows, marked with the "x" of unavailability, hint at some kinds of limited bowls. 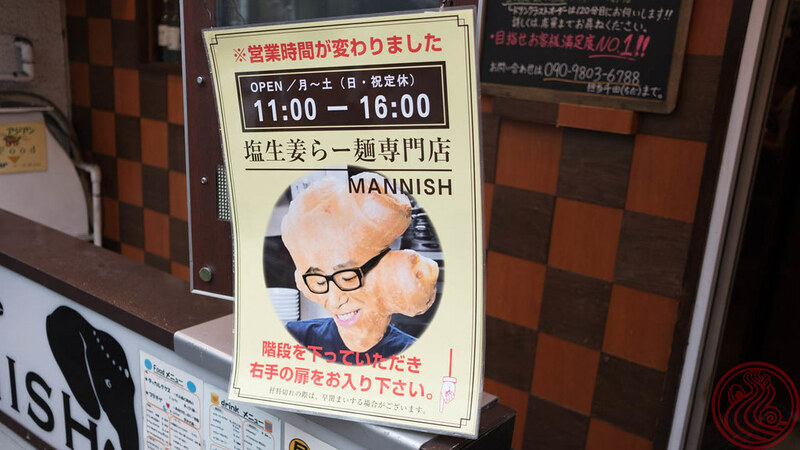 This is standard at many shops in Tokyo. 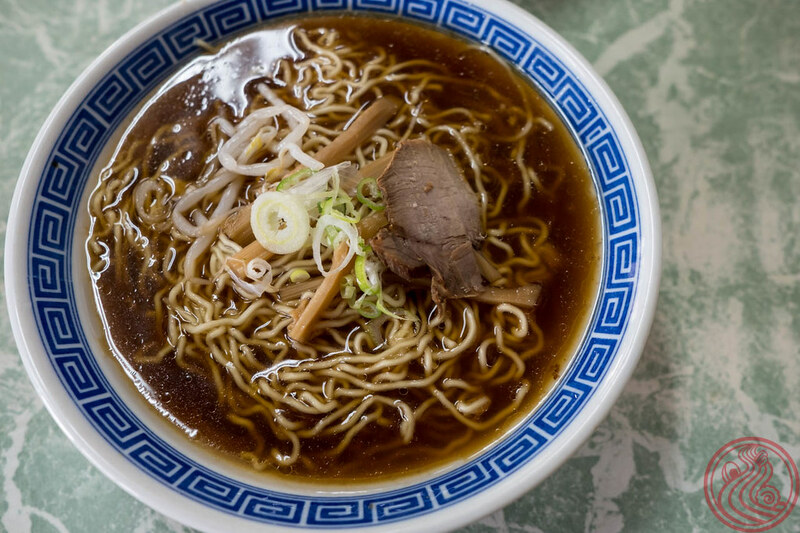 But the ramen here is anything but typical. 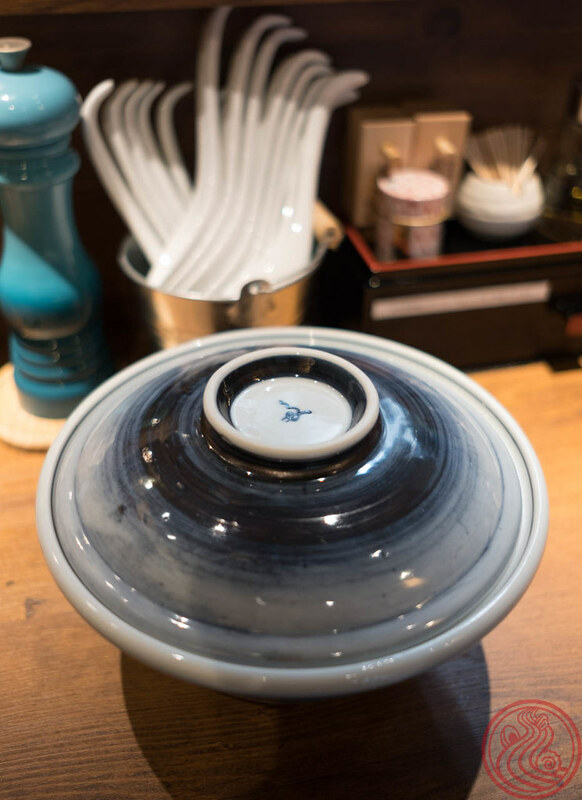 Served in a ceramic bowl with lid to hold the secrets inside. It all sounds a bit melodramatic. In reality, it's just an aroma foam. 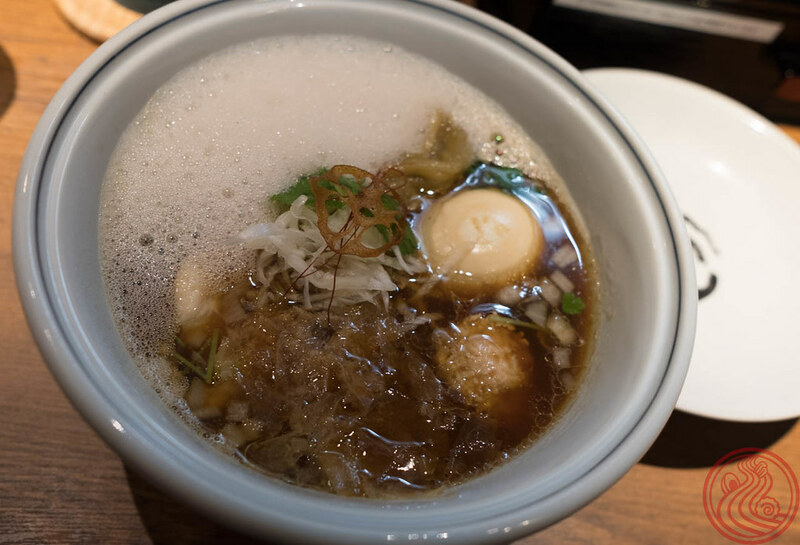 The idea of sealing in aroma is nothing new; the 5th branch of Keisuke does a smoke, and gotsubo in Shinjuku has foam on their ramen as well. The foam at Ku has hints of citrus and yuzu. It's a fun concept, but seems like a lot of effort. The fried lotus root and various kinds of onion give even more aroma. 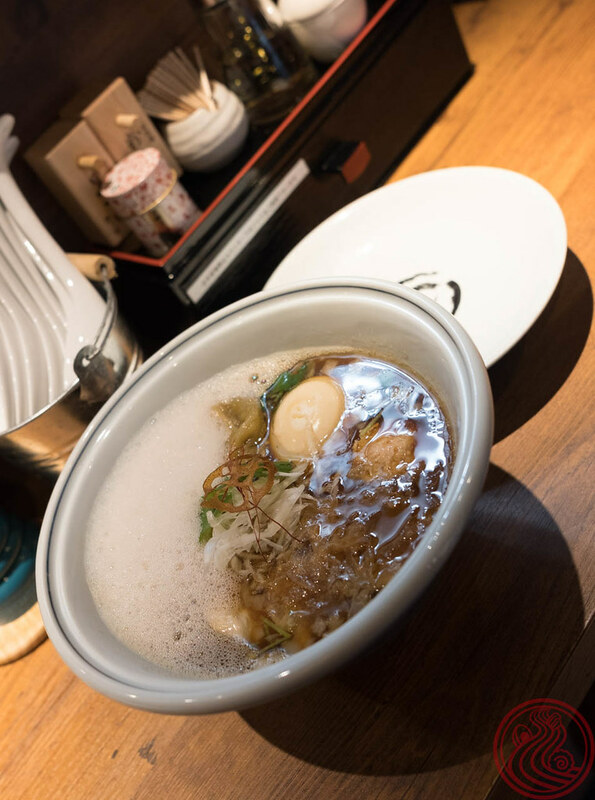 Tokyo's number one aroma bowl? 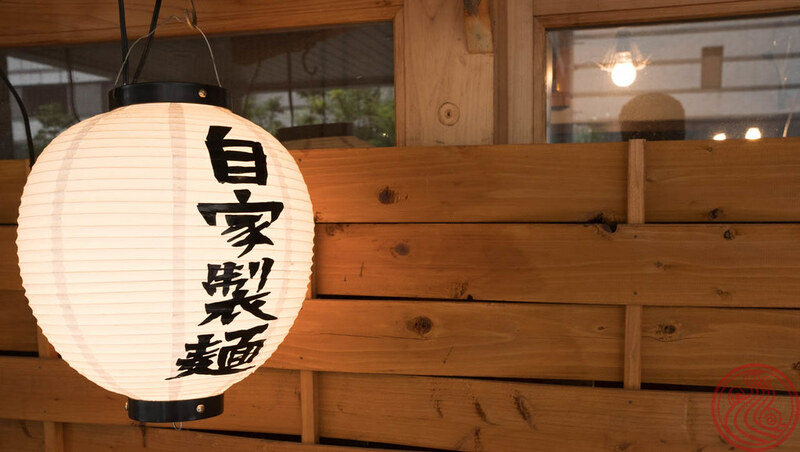 In the evening, Ku serves Japanese sake for 500 yen a glass, and nihonshu fans can come to sample a variety of drinks. How is anyone supposed to know about this place? 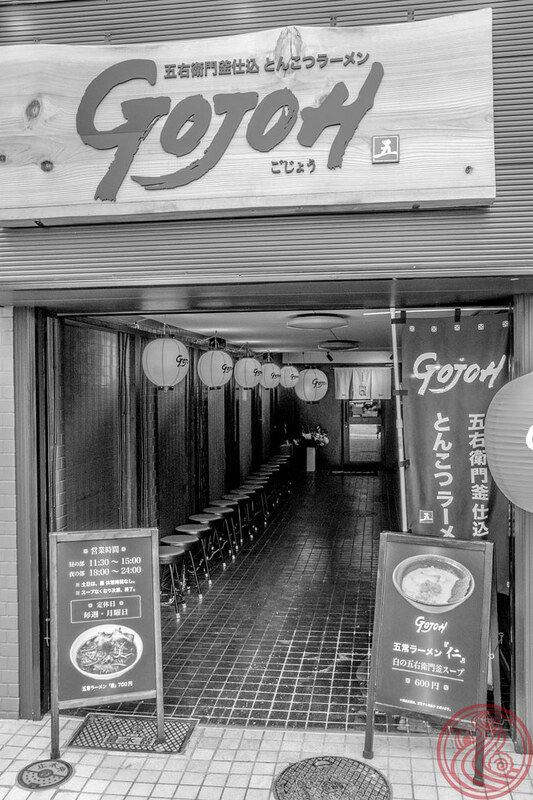 First of all, the A4-sized sign is almost impossible to see among the wall of other restaurant signs on this nondescript corner of Kanda. Second of all, the stairwell down to the shop is dark and scary, making you think some odd beast lurks below. 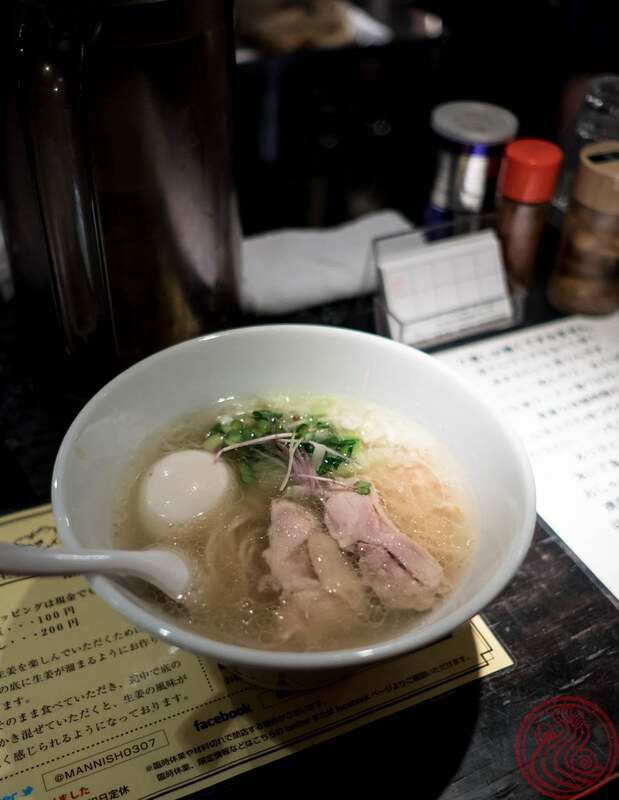 Well, if you brave the unknown, you'll find a tiny bar that doubles as a ramen shop for a few hours a day during the lunch service. 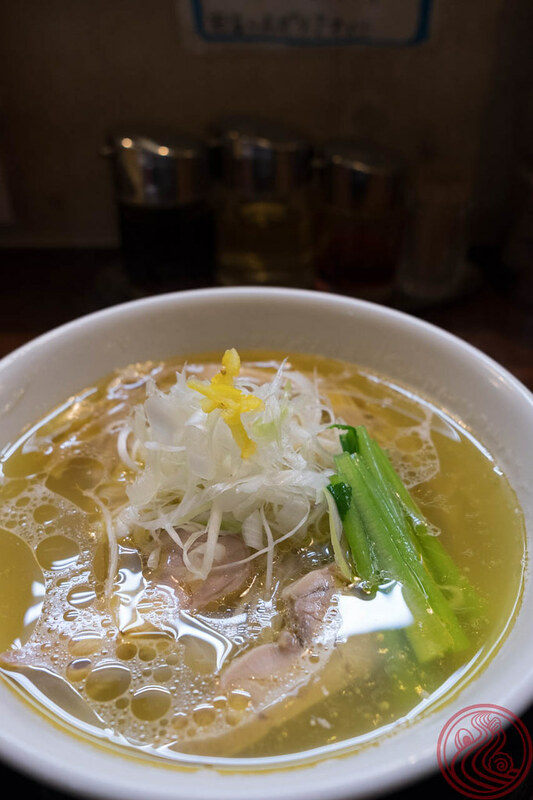 The ramen here, and there is only style, is shio shoga, salt and ginger. The ginger is something special. 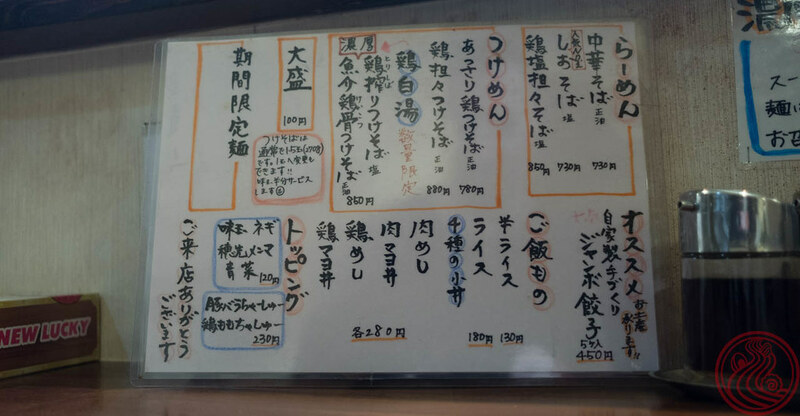 きなしょうが, kinashoga, from Kumamoto Prefecture. Ginger is notoriously an environmentally unfriendly crop. Chemical fertilizer works very well with this root, and a little bit chemistry yields a much greater crop. My father, who lives in Hawaii next to a ginger farm, says he will never eat the stuff again after seeing how it is produced. Kinashoga, on the other hand, is grown naturally, by a farmer who has specialized in ginger for half a century. The color is more vivid, and the taste is much more pronounced. It's essentially super-ginger. 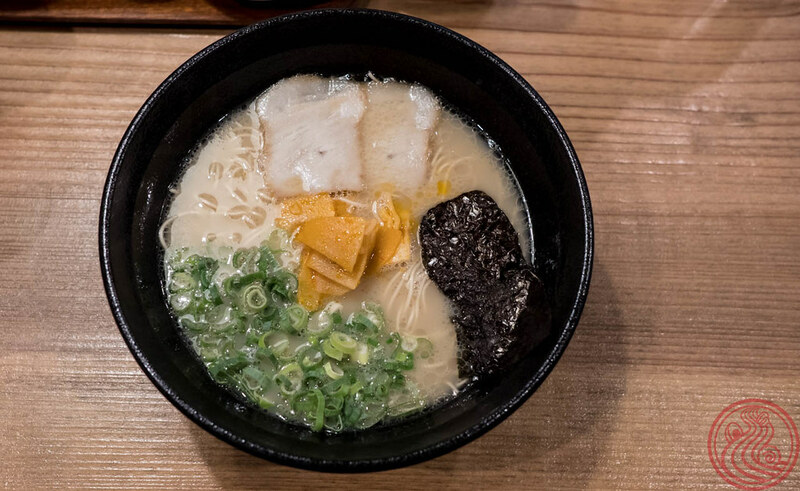 One bowl of super ginger shio ramen please. 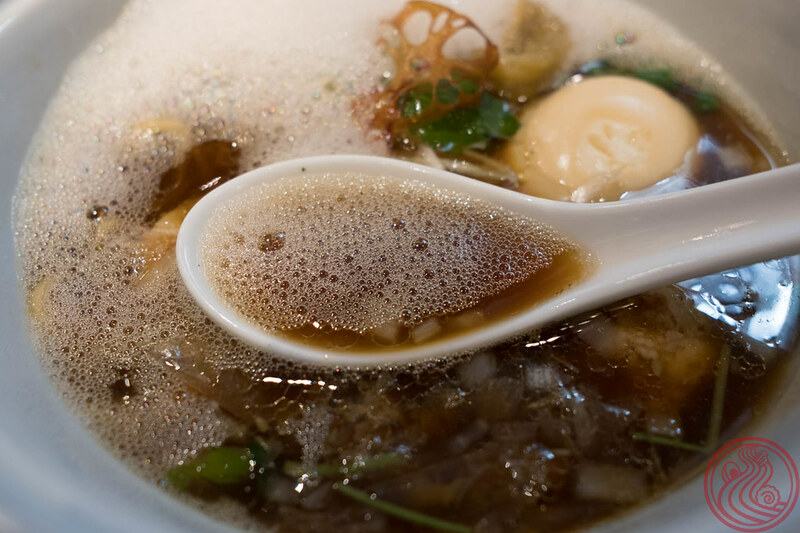 The soup base is light, so essentially this is one for ginger lovers. You'll taste ginger in every slurp. Tender chicken thigh, also lightly flavored, adds some meaty texture. Welcome to ginger world. 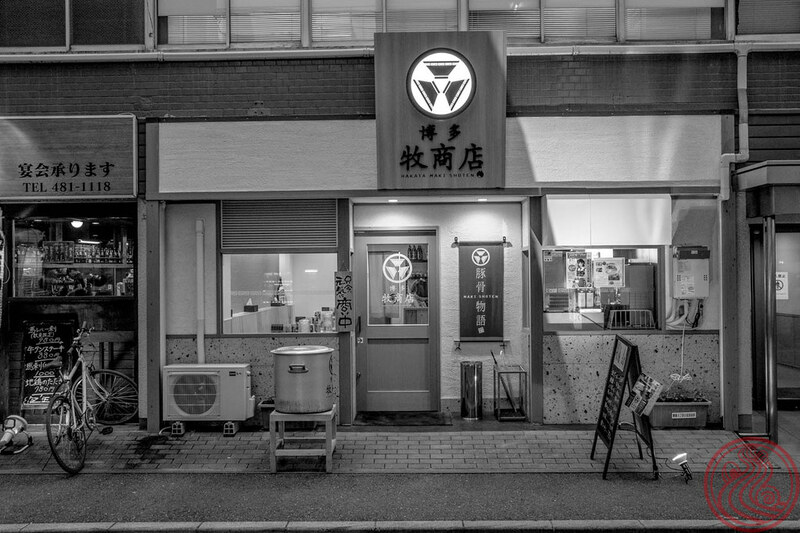 One of Tokyo's secret bowls.